This morning, we’re happy to share the next take from the upcoming album from Courtney Barnett & Kurt Vile, Lotta Sea Lice. The video for “Continental Breakfast” was directed by Danny Cohen (@DannyZCohen), who was also behind the lens for the “Over Everything” video released last month. This new video also spans a great distance (does not get much further than Melbourne and Philly. It’s a really special video and we don’t throw that world around too much. Watch and you’ll see why. 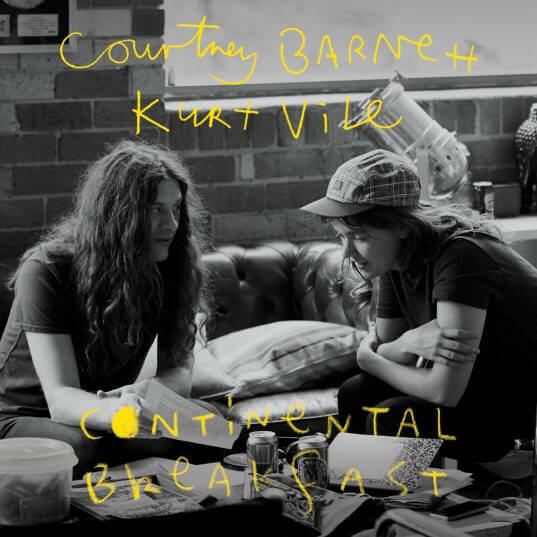 ‘Continental Breakfast’ was made while spending time with Courtney and Kurt in Melbourne and Philadelphia, it’s an intimate home movie into their lives and the time spent with family and friends between recording /touring. Shot on 16mm, the mini-documentary captures honest moments that show the loving and playful nature of both Courtney and Kurt. It was such a treat to experience life with Courtney and Kurt in their natural habitats. It really left me feeling like part of the family and hopefully fans can feel that too. 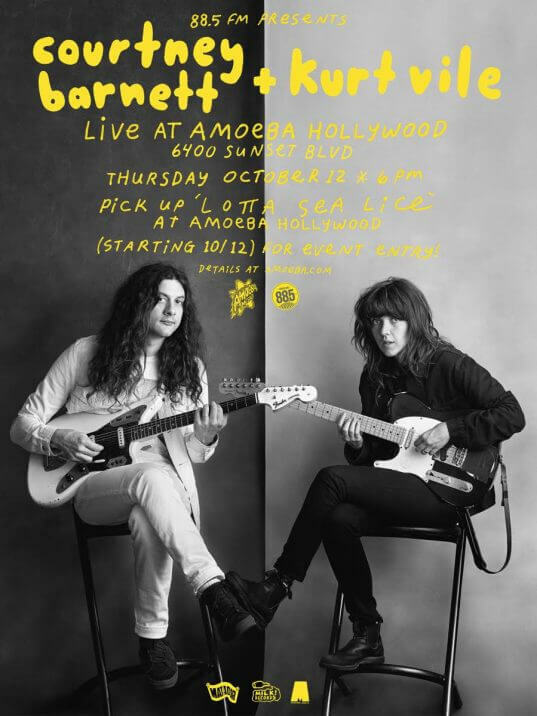 More Courtney and Kurt news comes from Amoeba Hollywood, where they just announced an in-store on Thursday, October 12th. Fans can attend the in-store by picking up Lotta Sea Lice a day early at Amoeba Hollywood starting on Thursday October 12. More details can be found on the flyer below or head to Amoeba.com.